Some of you may know already that I'm currently on vacation, writing this at my beautiful Montréal condo as we speak. I went on a short trip to NYC and now in Montréal to visit the bf for two weeks. While I might not be writing as much, I promise I have some great stuff ahead (hauls anybody?). On to the review. My skincare routine is already pretty bomb but I always love to discover new products to integrate in it. For a while I was looking for a day serum with hyaluronic acid that will work to plump up my skin. Since I bought the NIOD Photography Fluid, I've been really interested in DECIEM's line of products and brands. 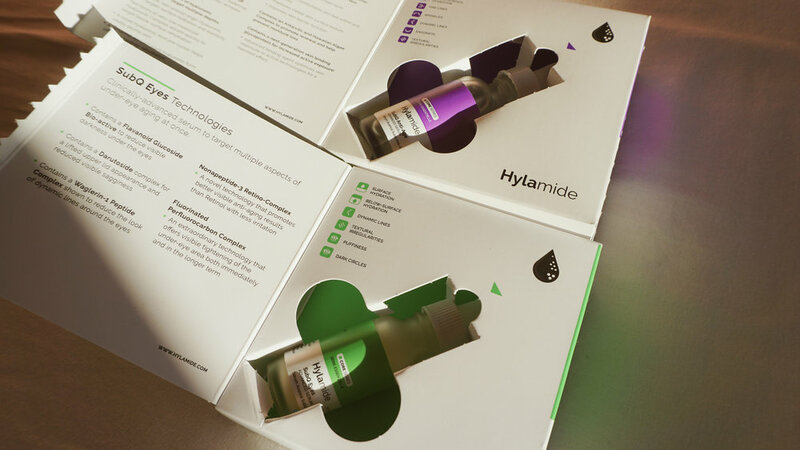 The Hylamide brand is described as 'Multi-Depth Skincare' and consists of several different serums. The SubQ Anti-Age and SubQ Eyes are part of their core series which targets ageing skin. You might be thinking, "why the f- would she need anti-ageing skincare already". I bought it mostly because of its plumping promises and stellar hyaluronic acid contents, but hey if it'll keep me looking like I'm 20 for longer, why not? Like many of DECIEM's products, it boasts a very wordy and complex-sounding product description so I would advise you to go visit their site for info on ingredients or just to read their impressive use of the thesaurus. It's part of the charm, really. The serum is very lightweight and sinks in to the skin very quickly and leaves nearly zero residue apart from the SubQ Eyes which leaves a slight film. 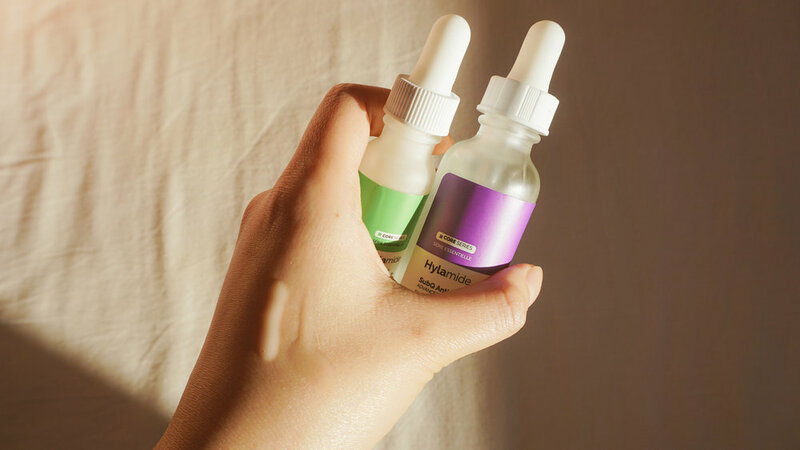 I usually use 4 drops of the SubQ Anti-Age in the morning and 3 drops at night cause I'm mixing it with my Vitamin C serum (you can see my skincare routine here). I use both serums before my facial oil and moisturiser combo. While I can't say much about its anti-ageing benefits yet, my skin definitely feels more plump and its skin texture greatly improved. I feel like my skin is hydrated on a deeper level and that alone justifies the purchase for me. DECIEM's site provides shipping to a lot of different countries so prices may differ depending on where you live, but for us UK humans, the SubQ Anti-Age is £30 and SubQ Eyes is £27. The prices are really affordable, especially when compared to other serums with similar promises and ingredients. It's also currently on sale in Boots.com for £20 and £18 respectively. Also a great thing to note is these products are fragrance-free, silicone-free, alcohol-free, cruelty-free, and vegan!